Fit most multiple spindle automatics, heavy-duty all bearing construction, 1/2” cutter width, easy installation. Hardened and ground components. Face plate system allows support bushings. 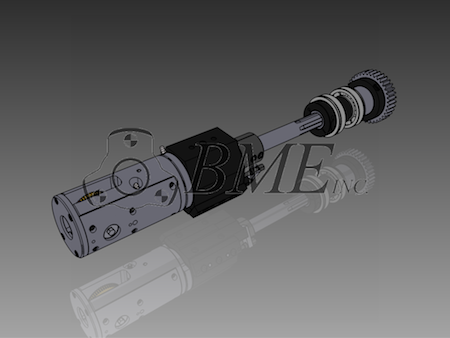 Robust dual supported cutter shaft, high pressure coolant ports. Heat-Treat gear system, Tramble way plate system, no boring required. Attachment Drive Unit is included. Attachment Top RPM = Machine Top RPM.